Exposed to medicine and science at an early age, an interest in this field was natural. When Dr. Lourie’ was only two, he lived in Winslow, Arizona where his father was stationed on an Indian reservation as part of his Masters of Public Health doctorate from Johns Hopkins University. Later, his family moved to Atlanta, Georgia where his father completed a residency in Internal Medicine at Emory University. His father then began working with the Centers for Disease Control (CDC) on a world-wide project to eradicate smallpox. This work took the family to Chad, Africa where they lived for over 3 years. Smallpox was successfully eradicated through a program of village to village vaccination. This remains one of the most successful disease eradication programs in history. After moving back to Atlanta, his father completed a fellowship in Infectious Diseases and was recruited to be a professor at the Medical University of South Carolina in Charleston. Living on the ocean and enjoying all forms of water-sports had a huge personal impact that would later draw him back to settle his own family on the ocean: in Bradenton, Florida. The family stayed in Charleston for four years until they moved to Indiana where his father accepted a position with a private clinic to build the Infectious Disease Program in Evansville. Dr. Lourie’ spent his middle school and high school in Evansville before enrolling in DePauw University in Greencastle, Indiana in 1981. There, he completed his Bachelor of Arts degree with a major in biology and a minor in physics in 1985. 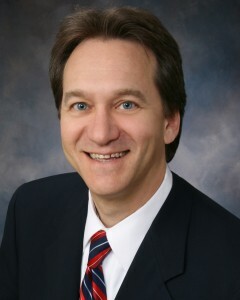 He attended Indiana University School of Medicine and received his MD degree in 1989. He was then accepted into Emory University where he completed his Internship and Residency in Internal Medicine in 1992. He chose to specialize in cardiology and was accepted at the Medical University of South Carolina. It felt good to be back on the ocean and in one of his favorite places where his free time was spent fishing, diving, sailing etc. His specialty training fellowship in Interventional Cardiology was completed in 1995. Dr. Lourie’ met his future wife Sandie who worked in the pediatric radiology department at the Medical University. They moved to Bradenton together in the summer of 1995, marrying the following year. They have two children now in grade school and middle school. At 32, he was one of the youngest to be accepted as a Fellow of the American College of Cardiology (FACC) in 1996. He has board certifications in Internal Medicine, Cardiology, Interventional Cardiology and Nuclear Cardiology. He has served on the local board of the American Heart Association and has served on various medical committees at both Manatee Memorial Hospital and Blake Medical Center. He has been the medical director of the Cardiac Catheterization Laboratory at Blake Hospital for the last ten consecutive years. In 2000, he was listed in Strathmore’s Who’s Who in America. In 2004, he was named Doctor of the Year at Blake Medical Center. At his own cost, he traveled to Washington, DC in late 2009 with the Florida Chapter of the American College of Cardiology to lobby congress to preserve Medicare benefits to patients. In 2010, he was named in Consumers’ Research Council of America’s “Guide to America’s Top Cardiologists”. He has published reports in The American Journal of Cardiology. He has been sited in numerous newspaper articles and published op-ed articles in the Bradenton Herald and has been featured on channel 9 news for medical stories. He holds himself to the highest standards of excellence in all aspects in medicine and life. His passion for detail is evident to his loyal patients and to those that work with him. In medicine, the “standard of care” is considered inadequate when it comes to treating his patients.